n.i.f.t.y c.r.a.f.t.y: Thanks for always being there! Hi There! I'm here to share a CAS card which I made for this week's Color Throwdown #483 challenge. I just love this color combination of Coral, Green and Kraft. I'm also playing along this week's CASE this Sketch #262 challenge. Here is my take! 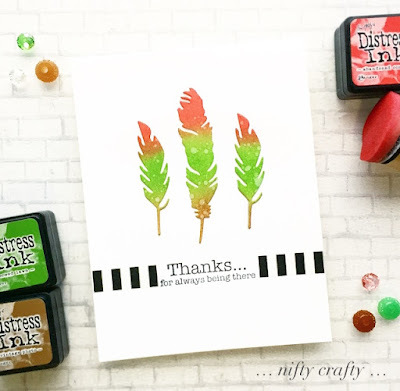 First, I blended the Abandoned Coral, Mowed Lawn and Vintage Photo distress inks on a white card stock and cut out the feathers using Simon Says Stamp Feather Craft Dies. To give a little dimension, I layered the feathers and spritzed some water on it. Then, I stamped on the sentiment from Inkadinkado - Thank You Words stamps set and finished off the card by adding a strip of black and white washi tape adjacent to the sentiment. That's all for today. It's always fun to play along with sketch and color challenges! 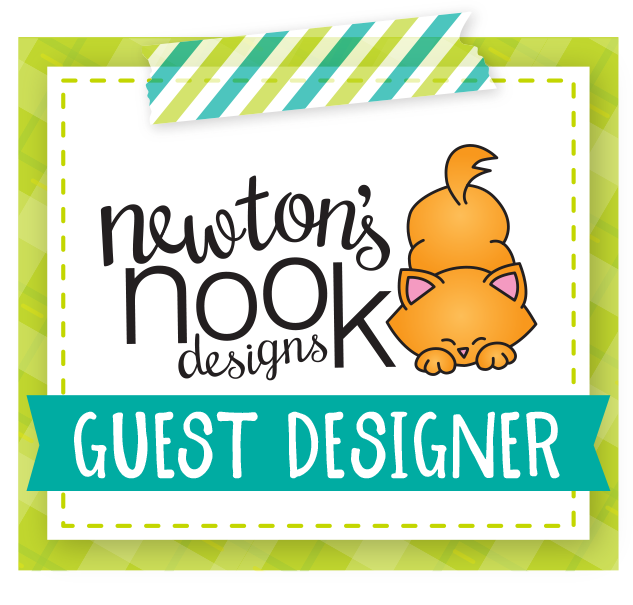 Great way to bring back the creative mojo! :P I hope you like my card today. Pretty card! I like the stripes around the sentiment. Thanks for joining us at CASology! Oh, I love this! Great take on the sketch! So pretty! I love how you blended the colors! Thanks so much for joining us at the Color Throwdown this week! I love this card! It's really simple and elegant. It's perfect for the both challenges. Hey Valliam!! I love your card. The colors are so pretty and the texture looks great. I also love how you sandwich the sentiment between the blocks of black. Nicely done. Thank you so much for playing along with CASology this week. Such a fun idea with the feathers and I love that striped border!! Wonderful take on the sketch--I love the tri color feathers! Wonderful Card! Love the stripes, they just give the card a little more Pop! Thanks for joining us at HLS Anything Goes with Dies!